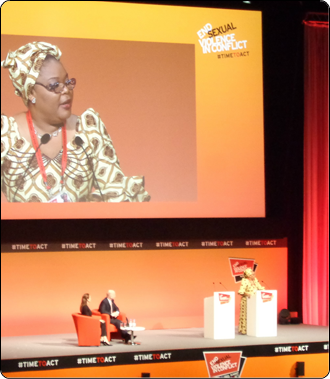 Between June 10th and 13th the Global Summit to End Sexual Violence in Conflict was held in London, where a RESDAL representative was in attendance as part of the largest event to be held on the subject. 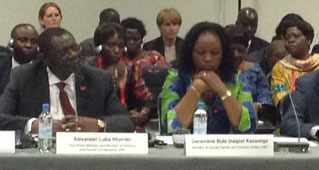 Co-chaired by Foreign Secretary of the British Government, William Hague, and Special Envoy for the UN High Commissioner for Refugees, Angelina Jolie, it brought together representatives and officials from all regions across the globe in an effort to further momentum to combat this widespread yet often invisible phenomenon. 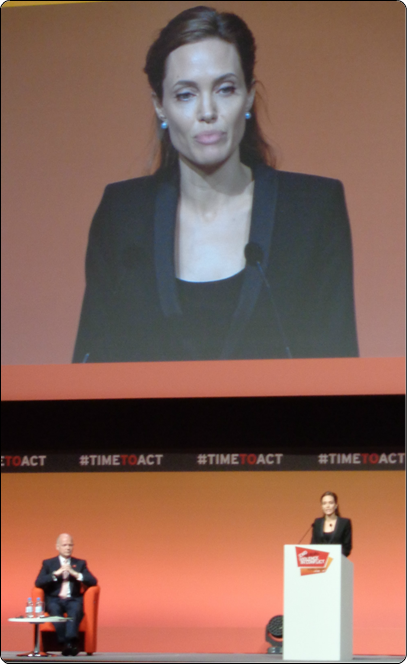 Angelina Jolie - UN High Commissioner for Refugees - called for a move from rhetoric and dialogue to the development and implementation of concrete tools, highlighting the need to assist in the strengthening of legislative frameworks on the investigation and prosecution of acts of sexual violence. Zainab Hawa Bangura – Special Representative on Sexual Violence in Conflict delivered a message from Secretary-General of the United Nations Ban Ki Moon, in which she applauded the change in attitudes regarding sexual violence and its rise on the agenda of policymakers. Open plenary sessions were conducted alongside formal meetings in which civil society came together with national officials and practitioners to discuss key issues such as the participation of women in political and peace-building processes, the need to further sensitise local and international armed and police forces to fully understand these issues, and to improve the production and availability of reliable data and statistics. It also provided an opportunity for experiences to be shared from cases such as those of the Somalia and Democratic Republic of Congo, the latter of which was the subject of a RESDAL fieldtrip and subsequent reports as parts of its women, peace and security program. Having recently completed an extensive fieldtrip to Lebanon conducting research on the role of the international community and United Nations peacekeeping mission – UNIFIL – RESDAL will continue to support efforts to attain progress towards these goals. Ministers from the Democratic Republic of Congo were joined by representatives of MONUSCO and UN agencies along with youth delegates and victims of sexual violence to discuss progress and challenges facing the country.